The Great West League is a new one of the so-called “summer collegiate wood bat” leagues around the country. They advertise a “minor league atmosphere” but apparently don’t pay the players. It appears these are leagues designed to give college players more competitive experience before they sign the contract. 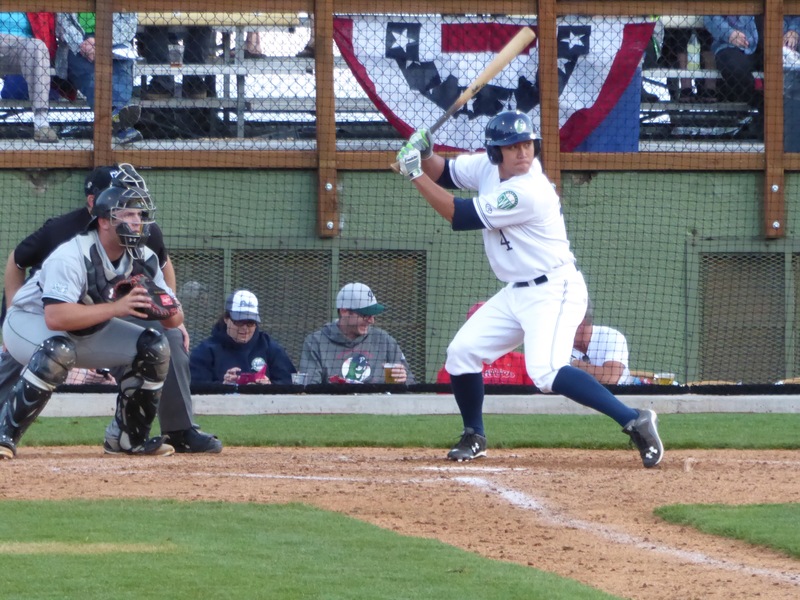 The Portland Pickles are the newest member of the league, playing their home games at Walker Stadium in Lents Park in a working class section of southeast Portland. Their game against the Medford Rogues last night didn’t end well for them, but they did provide entertainment for a part of the city that hasn’t seen that level of baseball for some time. Unfortunately, the organization behind the team is anything but. Just before game time, there was a line of about 50 people waiting for tickets and it took them 30 minutes to complete all those sales, so the last person in line got in to see the beginning of the third inning. Improvement needed there. While the game itself was unremarkable, the stadium is pleasant with nary a bad seat. I had the quintessential baseball experience of sitting next to a young boy about eight years old who had come to the game with his granddad (on a motorcycle) wearing his little league uniform. He was a quiet, observant kid who was obviously pleased and proud to be at a ballgame with his Grandpa. He watched closely, asked questions, jumped at the chance to have his picture taken with mascot “Dillon” the Pickle. It was a great reminder to me of the broad appeal of the game.